The ever popular Monopoly is getting an exciting and unique new edition in the form of Monopoly: Legend of Zelda edition. The set is due to release in the US on September 15th and can be pre-ordered online from GameStop no word yet on a corresponding UK release date, if any. This special collectors edition the board for which can be seen below comes with a whole host of awesome Legend of Zelda themed elements. These include the likes of Zelda’s very own Rupee currency replacing Monopoly money, and six player tokens that take the shape of staple Zelda tools and items; The Bow, Hookshot, Boomerang, Triforce, Hylian Shield and an exclusive to GameStop Ocarina of Time. The board itself features many of the amazing locations players will recognise from the series such as Hyrule Castle, Skyloft, Gerudo Desert and The Temple of Time. As for the signature hotels and houses of Monopoly these are replaced by Zelda themed Deku Sprouts and Deku Trees. 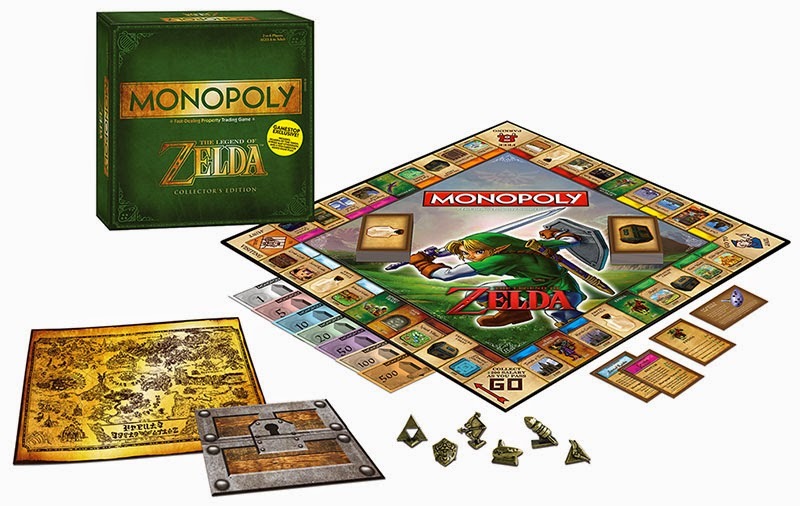 What do you think of this awesome looking Monopoly: Legend of Zelda edition? 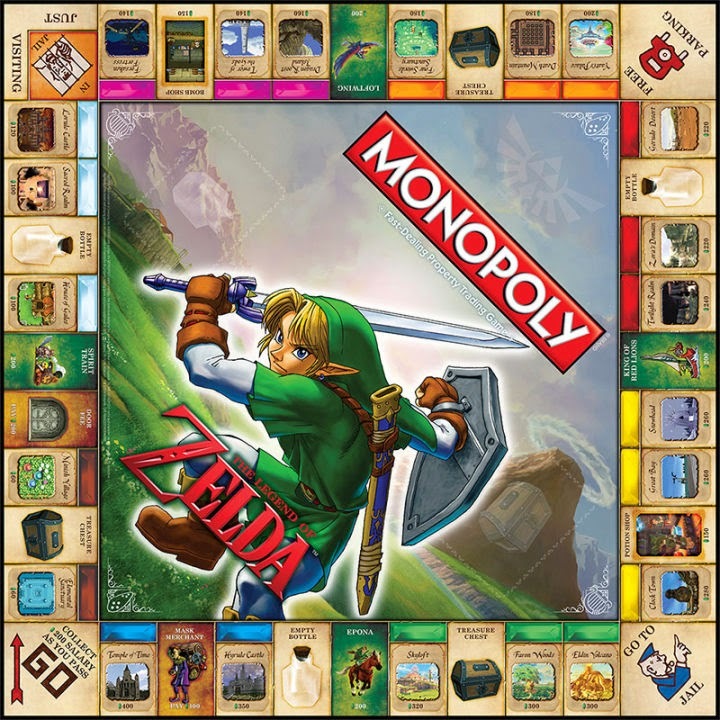 We have to admit we love Monopoly and we love Zelda so it’s a pretty epic marriage of the two if you ask us! We only hope that this version of the boardgame will make it’s way over to UK shores too.